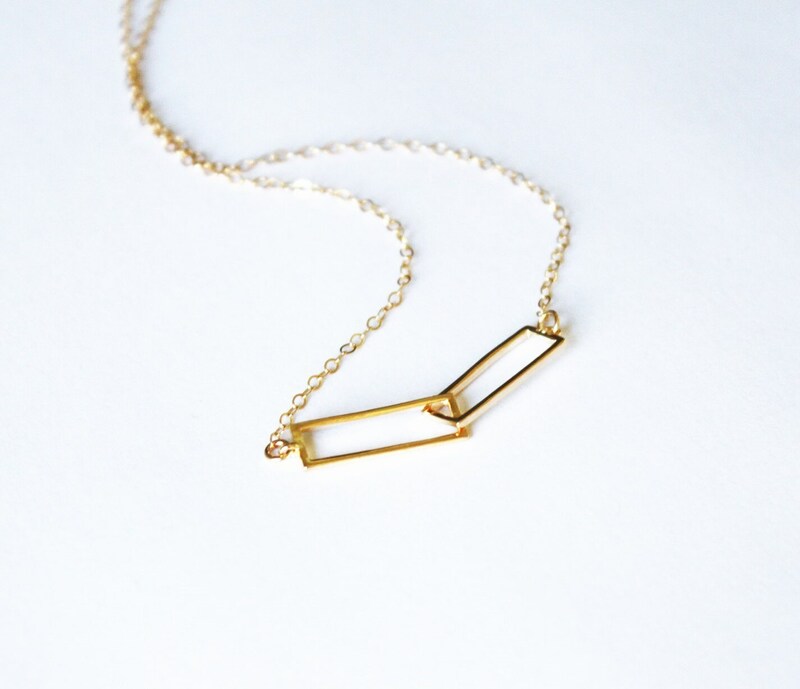 -Interlocking rectangles measures 6mm x 17mm in sterling silver, gold plated or rose plated. 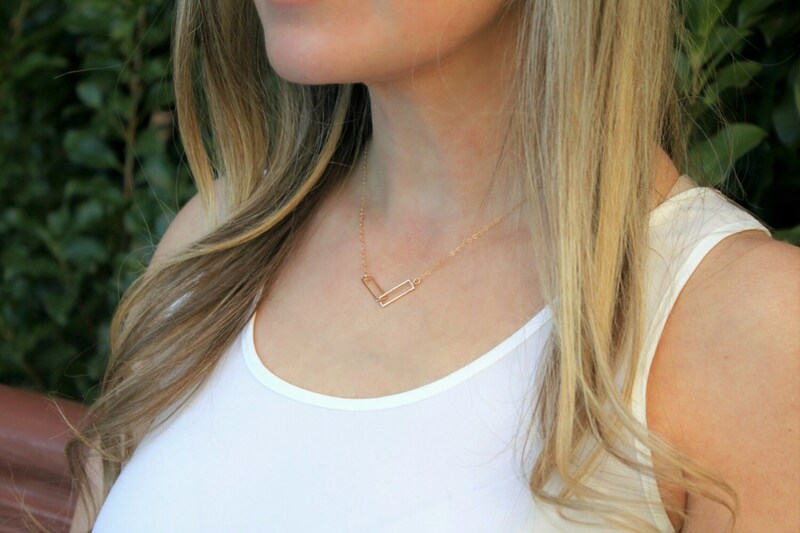 -Necklace is 14kt gold filled, rose gold filled or sterling silver. Arrived quickly and my mom loves it! It’s exactly as pictured and beautiful! 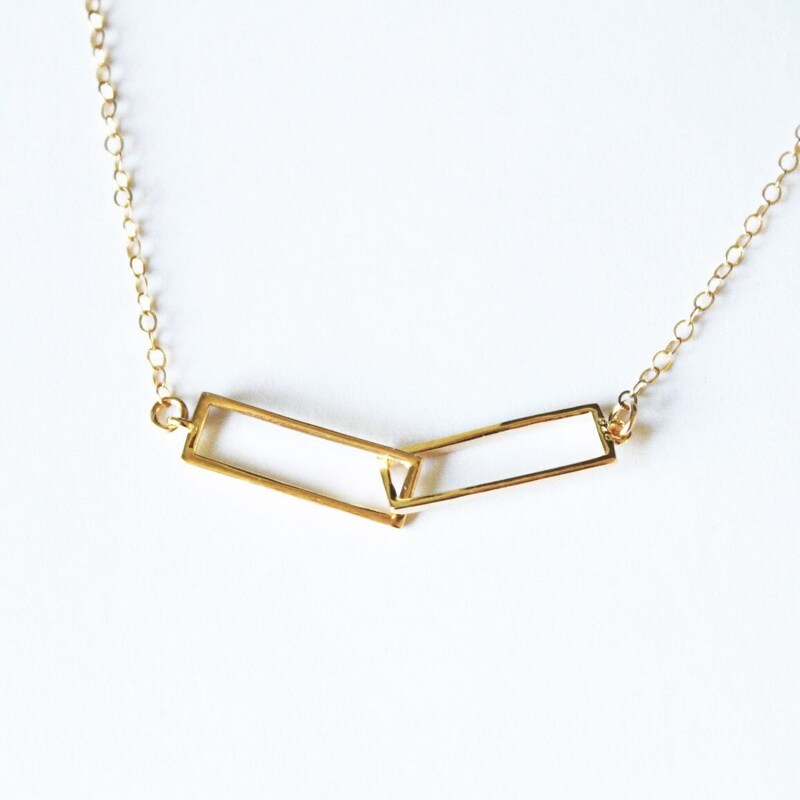 Love this dainty piece of jewelry! I just love everything from this shop and will definitely be back in the future! Thank you for such quality work and fast delivery!